Xmas Giant Hope Fair 2018! The Hope Fair is back for the annual Christmas edition! The Christmas Hope Fair is the biggest event of the year, reuniting over a fun day of shopping, dining and chatting; 110 Entrepreneurs, Artisans and Designers for the liking of gift hunters, curious networkers, and of course, shopping lovers. Get a unique chance to shop exclusive products such as gourmet and healthy food, fashion and cosmetics, baby and kids, wellness, art, craft and home decor. Bring your family and friends and discover together a variety of amazing gifts for your loved ones. All these special items will marvel young and old alike. 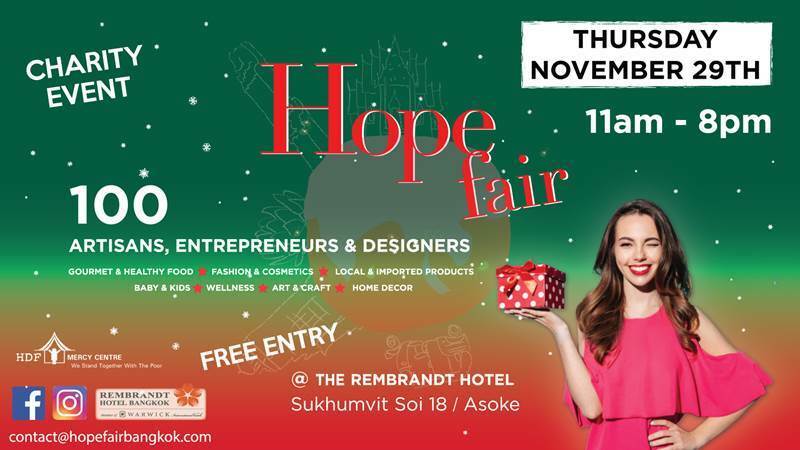 The Hope Fair Bangkok is dedicated to highlight Artisans and Entrepreneurs who commit themselves to produce differentiated and high end products or services. Moreover all the vendors united donate through this event to the children from the slums of Bangkok by supporting the HDF Mercy Centre association. The schedule from 11 am to 8 pm allows everyone to visit and shop during the whole day, or after work. 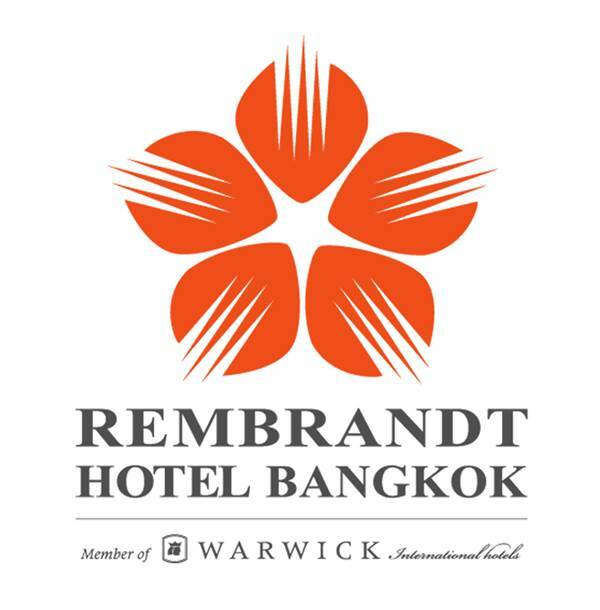 The Rembrandt Hotel, Sukhumvit Soi 18 (Asoke), 2nd floor. Thursday, November 29th, from 11am to 8pm.